Raised Omara Moctar in Agadez, Niger, Bombino has quickly matured into a young master of the desert-blues. The singer and guitarist got his start as the protégé of Saharan guitar legend Haja Bebe, and eventually Bombino developed his own robust take on the Tuareg style which pushed him onto the international stage. 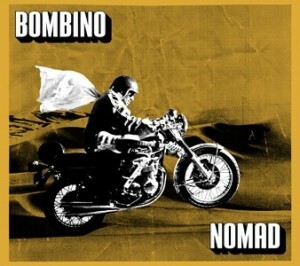 Bombino’s latest recording, Nomad, came out this week on Nonesuch and was produced by Dan Auerbach. The pairing makes good sense. Bombino’s style of guitar playing shares some musical kinship or root tenet with Auerbach’s, especially when one considers The Black Key’s early infatuation with the hypnotic Mississippi bluesman, Junior Kimbrough. Thanks for this. Bombino’s story truly is a remarkable one, and the music keeps up with it. I can’t believe anybody who saw this brief 2010 live video from Niger wouldn’t become an instant fan. I got to see him last year in VT and he’s of course even more compelling inperson.